We have found the perfect addition to your wardrobe and you are going to fall head over heels. 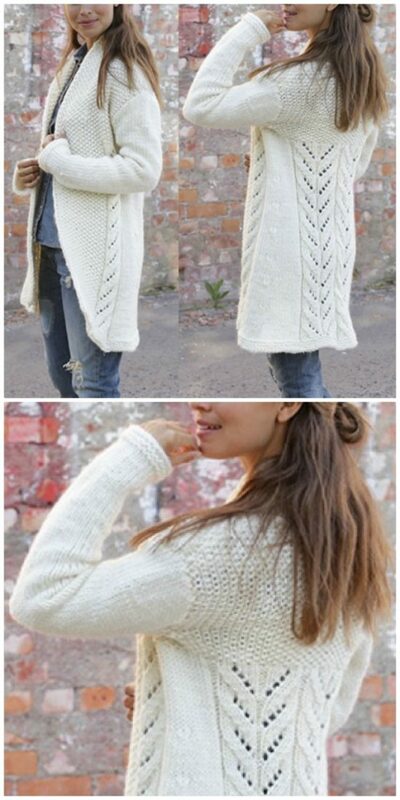 This beautiful collection of Knitted Cardigans has a pattern that is just perfect for you. We’ve rounded up a superb collection of Free Knitted Cardigan Pattern For Ladies and you are going to love these stylish pieces. They are the perfect addition to your wardrobe and we have something for everyone. Check them all out now and be sure to Pin your favorites as you go. 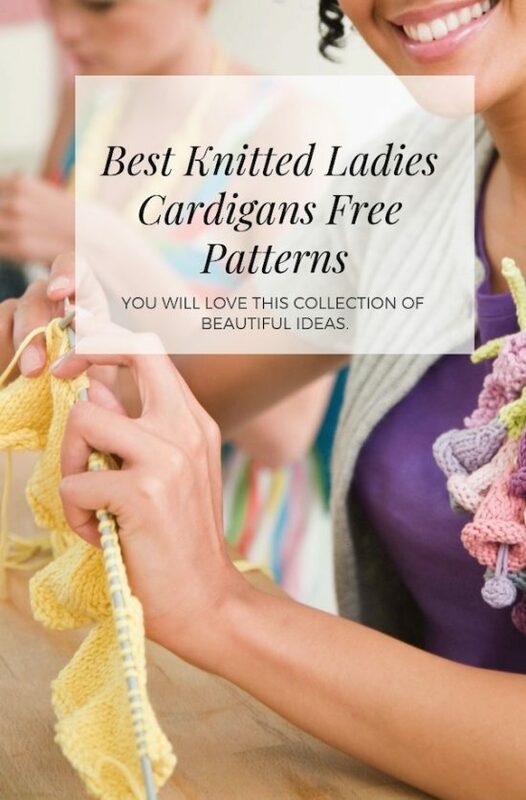 Red Heart has lots of wonderful free patterns. We recently shared their Knitted Scarf with Pockets which is another popular style. The flow of this cardigan is gorgeous and will flatter all body types too. The yarn is self-striping so no color change is required. It’s like a shawl in a ball and the results are a super comfy piece that will become the ultimate addition to your wardrobe. What a stunning addition to your wardrobe this gorgeous Long Circle Jacket is. With beautiful detail and a shawl collar, this is a very flattering piece. This beautiful button-up cardigan is an A-Shape with 3/4 sleeves. You can make this piece in small through to XXXL. 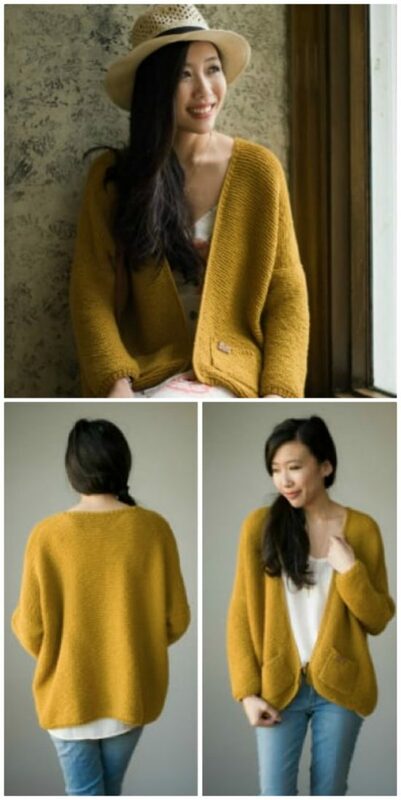 This beautiful fitted Cardigan has a lace front, cables and a shawl collar. This lovely piece will complement all your favorite outfits. This beautiful piece has a lovely open weave and you will use a circular 15mm needles to whip it up. Here’s a popular longline Cardigan and it’s a stylish piece that is flattering for all body shapes. This is a simple and very classic cardigan and it will be in high rotation in your wardrobe. The classic Vee front is very flattering. This beautiful creation is for the Intermediate knitter. It has a lovely unique style incorporating cable stitch and ribbed stitch collar and edging. We love the 3/4 sleeves. What a beauty this gorgeous cardigan is. According to the creator, this is a beginner friendly project. 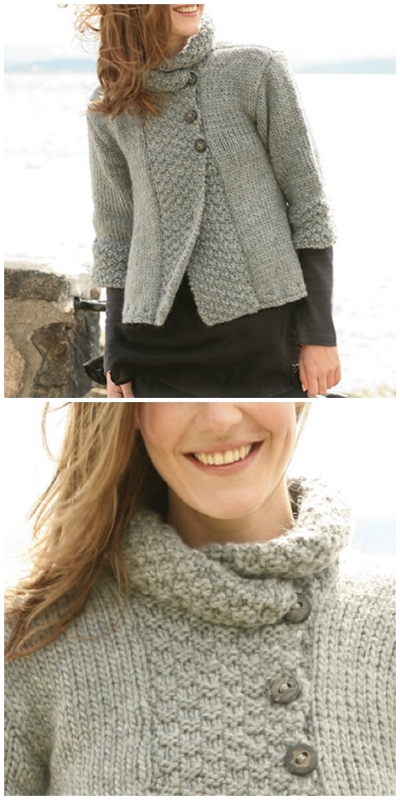 Here’s another very popular knitting pattern that you won’t want to miss. This is such a stylish piece and you will earn plenty of compliments when you wear it. To see more knitted cardigans and jackets, see our post here.